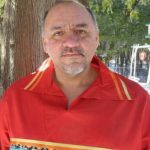 Jeff Grignon is a father, grandfather, husband and enrolled member of the Menominee Tribe of Wisconsin. A life-long student of the environment; and having eighteen years of western and southern fire experience, he has now accepted the honor and responsibility to aid in the regeneration or the giving back of what the Menominee forest has offered. His responsibilities as a tribal member also include the preservation and protection of cultural habitational areas and the stories they continue to tell.